Our HydroxR™ Treatment System combines aggressive aeration technology with the oxidation power of hydrogen peroxide for treatment of virtually unlimited levels of iron, manganese and sulfur gas. At the same time, bacteriological forms of these constituents are controlled without the creation of chemical byproducts, contact tanks or the on going maintenence of rebedding carbon filters. The included chemical feed pump package is equipped with a Degas head for self-priming operation. Only the highest quality controls and materials are used. Our motor-driven piston control valve is the most reliable under even severe water conditions and resists common adversaries such as dirt, iron and turbidity. Designed for use in commercial, industrial or domestic water applications. As we remain Committed to Innovation, Chandler Systems provides the design and engineering support to ensure the most effective treatment solution for each installation. For a stand-alone installation or a new construction project, replace or integrate new equipment into an existing process, we have the proper system options available to meet your needs. Automatic backwashing and upflow water filters are the answer for solving common water quality problems. Only the highest quality, proven media and controls are used in a Chandler Systems Automatic Water Filter; for removal of taste, odor, color, sediment, low pH and iron. Our motor-driven piston control valve is the most reliable under even severe water conditions and resists common adversaries such as dirt, iron and turbidity. Meanwhile, our Vortech™ or hub and lateral style distribution system within the corrosion-resistant tanks maximize flow while reducing pressure loss through the units. Designed for use in commercial, industrial or domestic water applications. As we remain Committed to Innovation, Chandler Systems provides the design and engineering support to ensure the most effective treatment solution for each installation. For a standalone installation or a new construction project, replace or integrate new equipment into an existing process, we have the proper system options available to meet your needs. 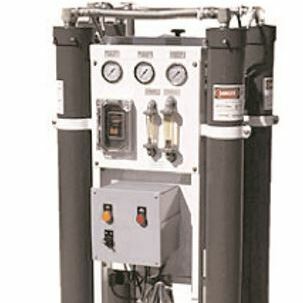 The Reverse Osmosis (RO) process uses a semi-permeable membrane to separate and remove Total Dissolved Solids (TDS), organics and submicron colloidal matter from the water. A high pressure RO pump is used to force raw water through the multi-layered membrane, leaving the impurities behind (concentrate) while creating pure water (permeate). 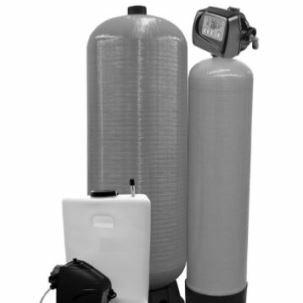 Pretreating the raw water with filtration and/or softening before the RO is commonly required. Reverse Osmosis is capable of removing 95 – 99% of the TDS from raw water. As we remain Committed to Innovation, CSI provides the design and engineering support to ensure the most effective treatment solution for each installation. For a stand-alone installation on a new construction project, replacing existing equipment or integrating new equipment into an existing process, we have the proper system and equipment options available to meet your need. Automatically reduce hardness (calcium/magnesium) and dissolved iron/ manganese along with their unpleasant side-effects. 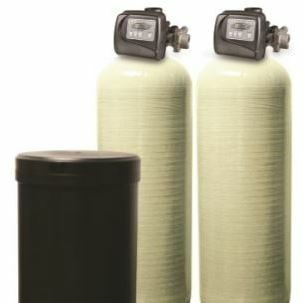 Only the highest quality resin, controls and materials are used in Chandler Systems Commercial Water Softeners. Our motor-driven piston control valve is the most reliable under even severe water conditions and resists common adversaries such as hardness and iron. Meanwhile, our hub and lateral style or Vortech™ distribution system within the corrosion resistant tanks maximize flow while reducing pressure loss through the units. Designed for use in commercial, industrial or domestic water applications. Serving all of North Carolina. CSI Commercial Water Treatment Systems for all commercial & industrial applications. Serving all of North Carolina including Charlotte NC, Raleigh NC, The Outer Banks, Wilmington, Greensboro, Winston Salem, Asheville and all other NC areas.